EJ Barnes, proprietor of EJ Electrical Works, says that his latest projects highlight interior design trends that depend heavily on good lighting design. According to Barnes, commercial spaces and domestic ones have a lot in common these days. There is a lot of emphasis on open space, bright whites, and lighting effects. Many of his recent projects have involved the installation of downlights that create a uniformly-lit space and there’s a trend towards hidden lights that illuminate work surfaces. In before an after images, the entire kitchen looks more spacious, partly because overhead cupboards above the serving area were removed, but also because of the illuminated feature wall. The overall effect is both beautiful and practical. Natural light is the big buzzword too, says Barnes, and installing larger windows is the home renovation order of the day, but his clients want the same kind of light at night too. Emulating natural light as much as possible poses its own technical challenges, but Barnes says his clients are satisfied with the effects he is able to create. A look through the EJ Electrical Works portfolio shows many commercial and domestic spaces with a focus on black and white - and the light to make the contrast all the more striking. But there are exceptions too. A beautiful country residence matches its setting with an emphasis on warm wood tones and vintage-look ceiling fans while a coffee shop opts for artsy murals and pendant lighting. Nonetheless, the theme of brightness, airiness, and space forms a common thread. 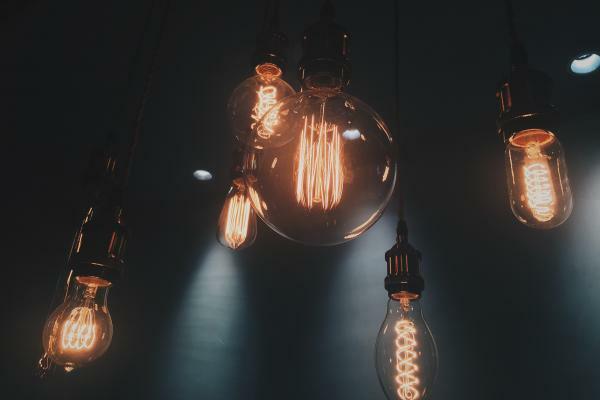 Bright ideas in domestic and commercial lighting design are among EJ Electrical Works’ specialties, so whether entrepreneurs plan a shop fitout or homeowners hope to add a touch of added elegance to indoor spaces, EJ is ready to give them the benefit of his experience. He invites readers to visit the EJ Electrical Works website to view his gallery of completed projects. Alternatively, call 1300 DIAL EJ, that’s 1300 342 535 for further information.